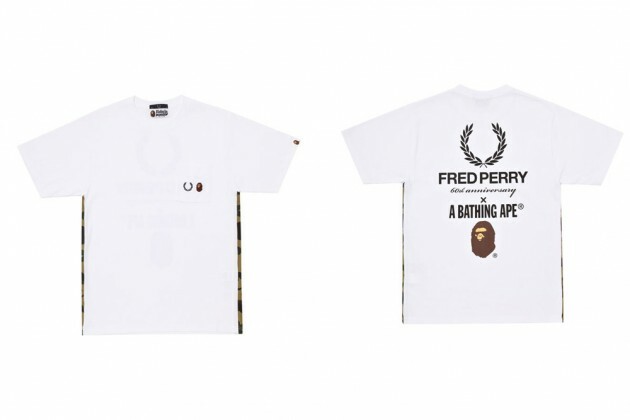 Fred Perry continues to celebrate its 60th anniversary and has now teamed up with A Bathing Ape on a few pieces. 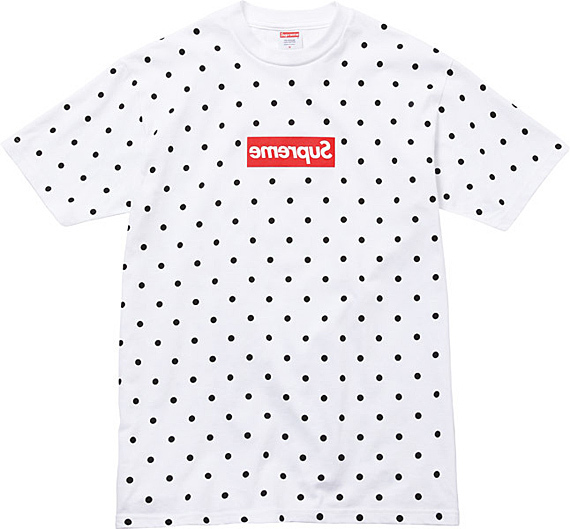 The logos, the two brands, it all sounds great and promising. 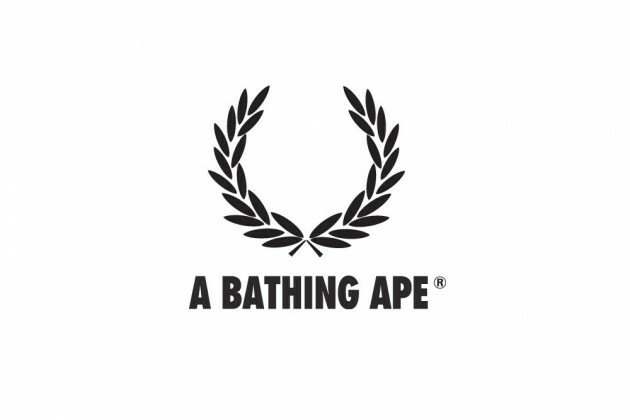 Imagining the Bape head logo next to the Laurel logo of Fred Perry on their classic polo shirts is a great combo and at first it looks like that is what they did unfortunately I dont like at all…just as I thought the Stussy Colab a couple of years ago wasnt the George (best) either when will huge brands realise thats sometimes less is more…What do you guys think? Once in a while, there will be a project that presents a paradigm shift for the industry as a whole. 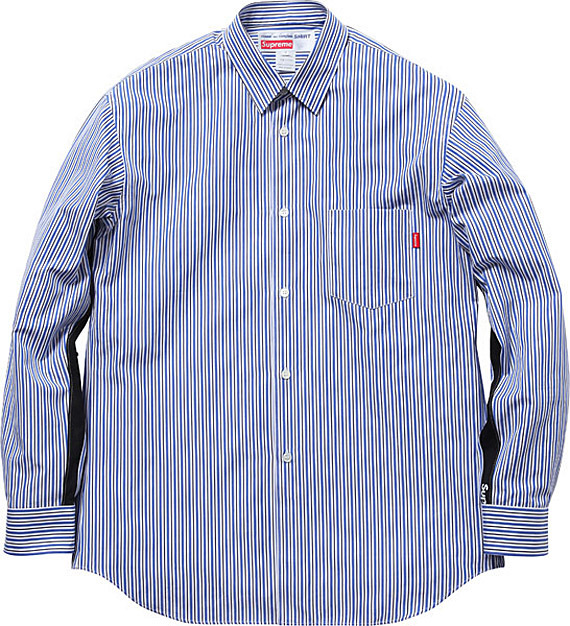 For Spring 2012, this collaboration between Supreme and COMME des GARÇONS SHIRT will be that project for the so-called street wear genre. 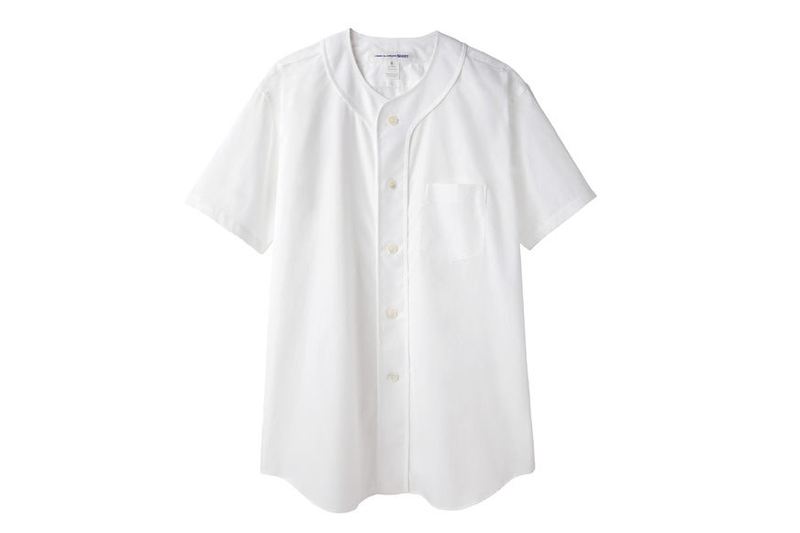 Established back in 1973 by Japanese designerRei Kawakubo, COMME des GARÇONS (“Like Boys” in French) and its various subsidiaries have redefine fashion with its penchant for avant-garde silhouettes and styling found on the streets of Tokyo. In its continue pursue of this hodgepodge concept of low-brow styles and couture designs, COMME des GARÇONS opened London’s highly successful Dover Street Market in 1988. 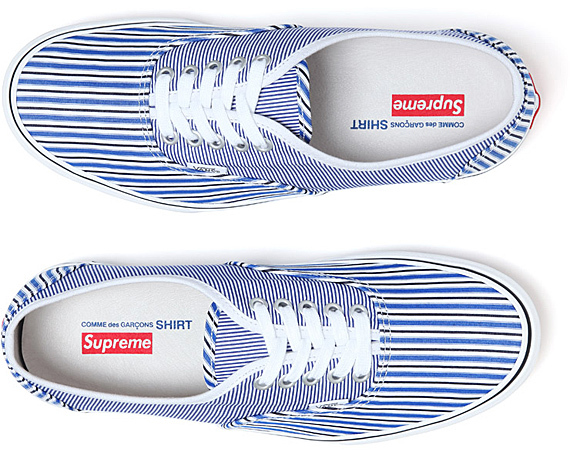 It became the first few retail locations in Europe to offer Supreme products as well. 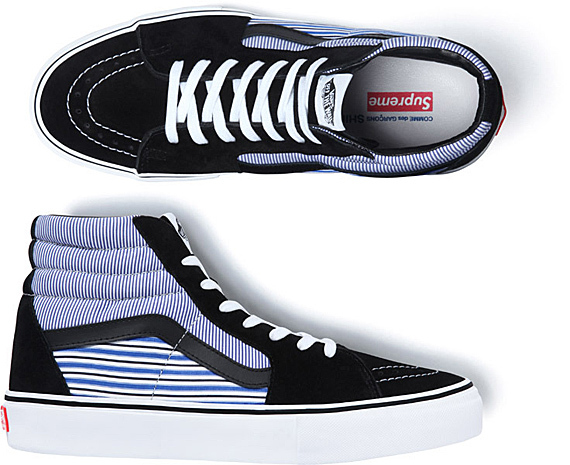 In honoring this decades long partnership, both designed an exclusive capsule collection for the soon to open Dover Street Market Ginza. 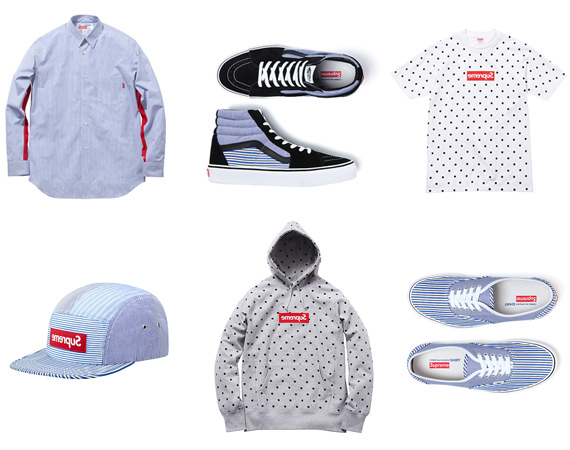 Comprised of button-down shirts, camp cap, VANS SK8-Hi, and VANS Era, all made to COMME des GARÇONS’ specifications. 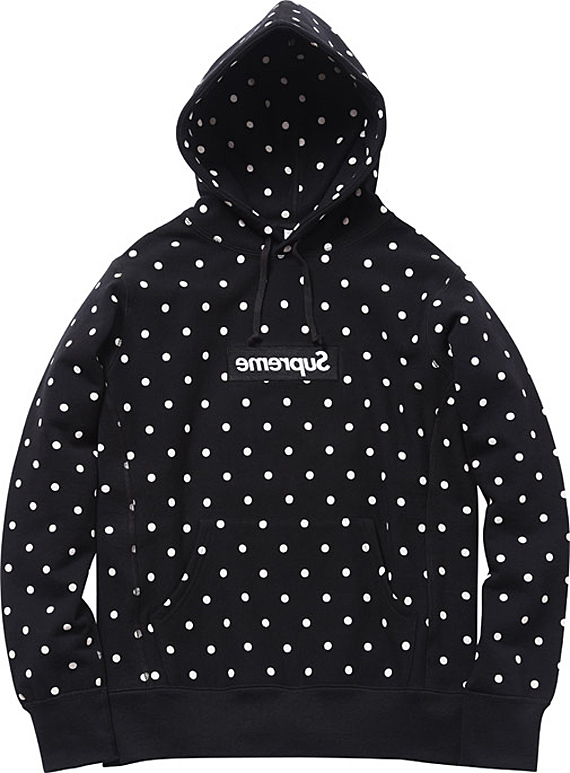 In addition, the collection includes hooded sweatshirts and tees in CDG’s signature polka-dot graphics via all-over print pattern. 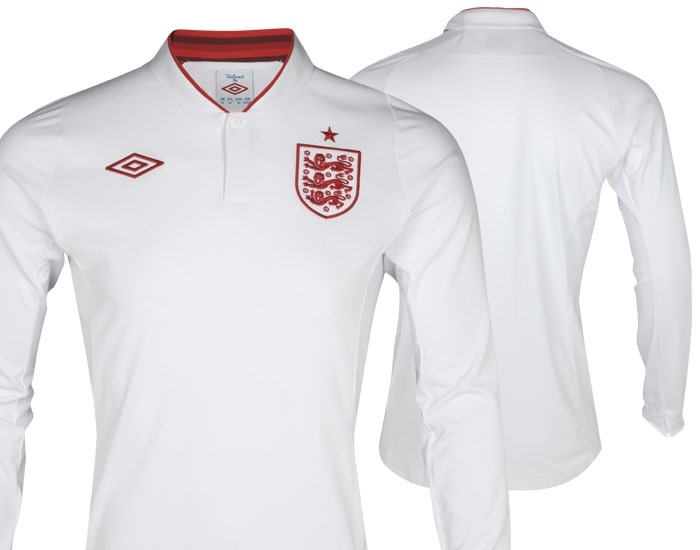 Umbro have unveiled the new England shirt, always a highly anticipated release and the first time the design is purely white with red trim makes for an interesting design. 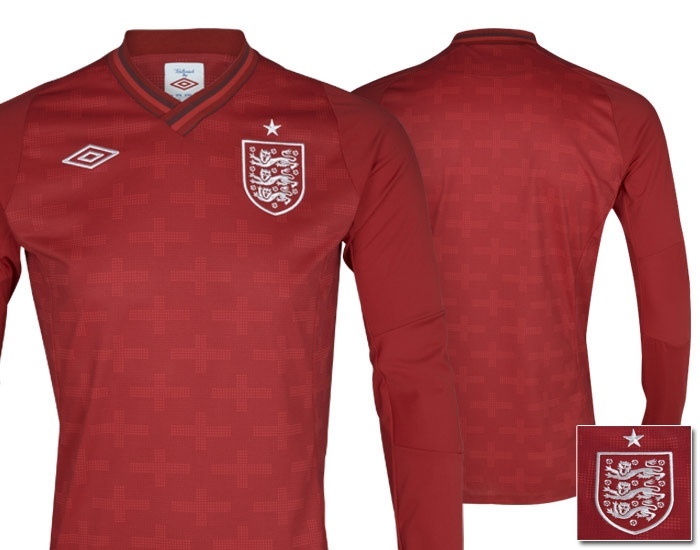 Featuring a woven collar with red inner stripe rib and striped rib cuff detail on the arms, the shirt also features an embroidered red England crest and red Umbro double diamond on the chest. 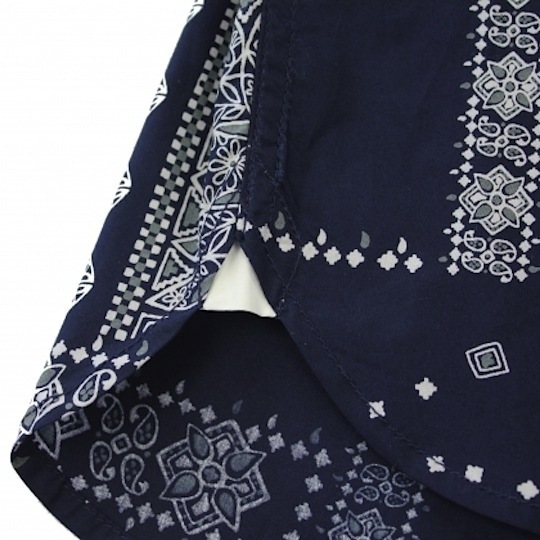 Front body darts provide extra fit and comfort, while under-arm panels offer extra movement and breathability. A certain amount of controversy has come about the release of a new shirt following the previous design was only worn eight times by the national team, creating a bit of frustration by the fans. 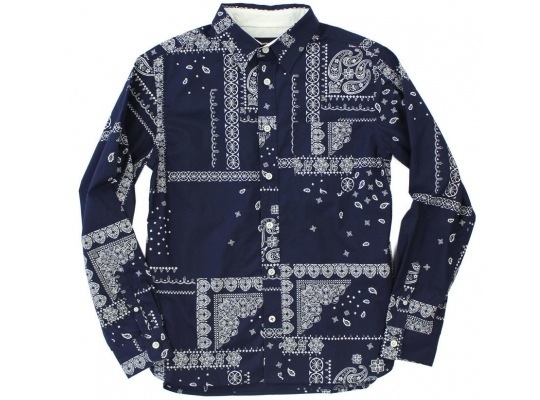 In my opinion not a patch on the last two home shirts. 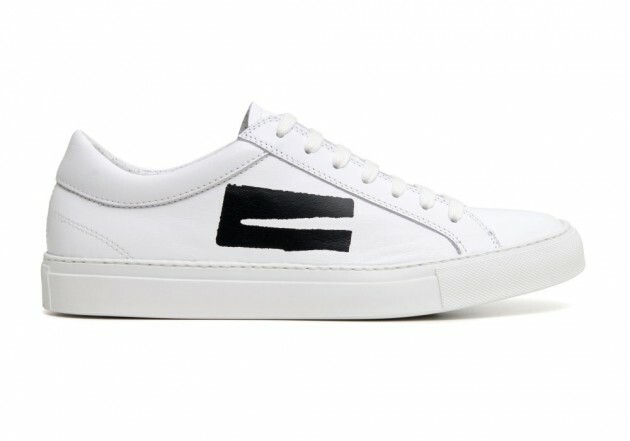 None the less, a great design and one that will be seen on the pitch, on the terraces and on the streets. Heres the new keeper jersey as well..